I thought this would be a little closer, but this one had Pulp Fiction written all over it. Nice to see a couple of votes for Jackie Brown slip in there, as that is certainly an underrated film. Thanks to all who voted! This week’s poll fits in well with the results for this year’s most anticipated release: who is your favorite Batman actor? Will the current Dark Knight, Christian Bale, be crowned the winner? Or will a former hero prevail? Jackie Brown is fantastic! I rewatched it recently and forgot how amazing it was. You know they’re going to make a prequel to it? Yeah, I did hear some rumblings about a prequel. Should be interesting to see what they do with it… casting Mos Def and John Hawkes is a good start. While I am only a couple episodes into Dexter’s last season, I am really enjoying Mos Def’s character. I think he has improved quite a bit over the years as an actor, and it could be fun to see him in this prequel. I hear ya, Scott. Even his “lesser” works like Death Proof are entertaining. Justice is served in this poll. Haha thanks dude! No complaints from me about the winner of this poll. I know I’m in the extreme minority opinion on this one, but I’ll always consider Jackie Brown his best picture. It has been years since I have seen it, but I also liked it quite a bit. I may have to revisit it soon. Underrated is just the beginning; most people, unless they are very “into” movies doesn’t know about Jackie Brown at all, even though they have heard about all his other movies. I voted for Pulp Fiction for his overall best though, but Jackie B is a close second! Yeah, that’s true. People always seem to forget about Jackie Brown for some reason. Glad to see it get some love in this poll. Of all of his films, I was actually less impressed by Jackie Brown than any of his other projects. 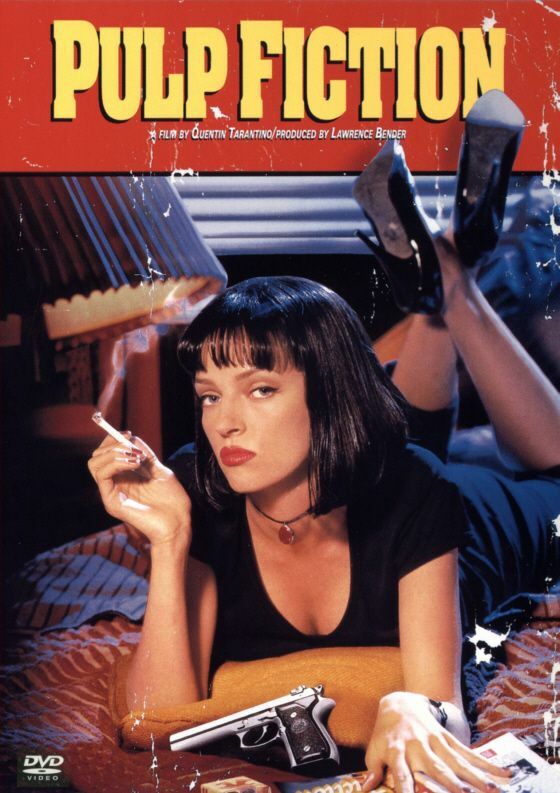 I love the rest of his oeuvre , but Pulp Fiction is simply one of the best films of the last 20-30 years. It’s one of the very few pieces I consider flawless. A 5/5 for me. I’m with you on Pulp Fiction. It’s one of those rare movies that I can watch over and over again without getting tired of it. I really need to get better at this, I keep missing the poll!! Ok, I’d have voted for ‘Basterds’ but I’m not really that well-versed on QT’s work. I do like Kill Bill vol. 1 despite its mind-numbing violence, but generally QT’s stuff isn’t my cup of tea. Yeah, there does tend to be quite a bit of violence in Tarantino’s films. Definitely not for everyone. Haha good deal! It’s looking like a two-horse race right now.